The artist could be the father to a Spanish woman. The body of legendary artist Salvador Dali is being forced to be exhumed by court order after a woman claiming to be his biological daughter takes action against the country of Spain over the charge of his estate. The decision is being appealed by the Dali Foundation. 60-year-old Maria Pilar Abel Martínez, a Girona-born tarot card reader, has insisted that her mother Antonia had an affair with the painter when she was working as a maid. The romance allegedly took place in 1955, a year before Maria was born. She made the allegation in 2015, and staunchly believes that she is Dali's daughter given both her mother's claims to her when she was a child and her physical resemblance. Exhumations do not happen with regularity in law, but Dali's body could be unburied from his resting place at the Dali Theatre and Museum in Figueres, where he was interred in 1989 following his death from heart failure at the age of 84, as early as July. 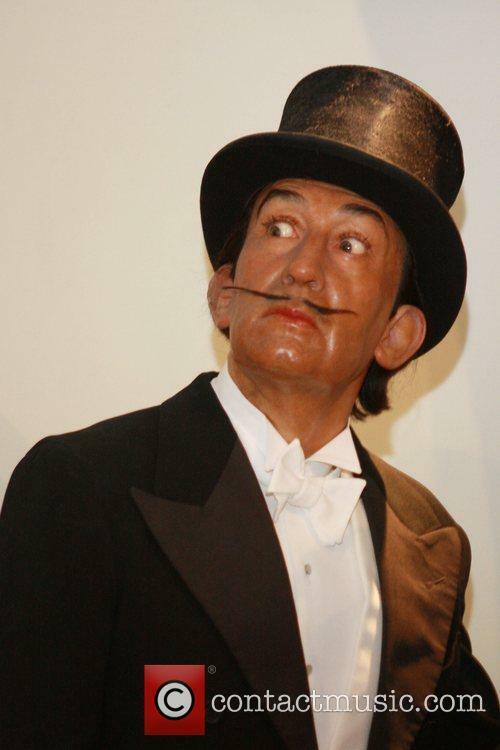 If it is proved that Maria is indeed the long-lost daughter of Salvador Dali, she will be his only child. Despite being married to his long-time muse Gala from 1934 to her death in 1982, he is not thought to have had any children with her. In fact, it has long been thought that Mr. Dali had an aversion to sexual contact altogether, with many believing he actually died a virgin. The Dali Foundation are appealing against the decision to exhume the body. 'Given the content of the decision taken by the Court of Instance No. 11 of Madrid on June 20, 2017, by means of which the exhumation of the remains of Salvador Dalí is ordered to allow the biological investigation of Pilar Abel's paternity research, The Dalí Foundation is preparing an appeal to oppose this exhumation that will be lodged in the coming days', they said in a statement. If Maria wins her case and proves paternity, she can then move forward to make a claim of Dali's estate which was awarded to the state of Spain following his passing.